When it comes to hospitality, there’s no pony like Fluttershy. She can’t wait for her friends to come visit her in her cottage! 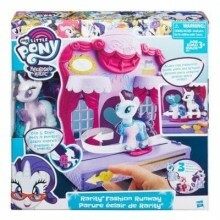 This figure comes with fun outfits and fun accessories for kids to dress her up. 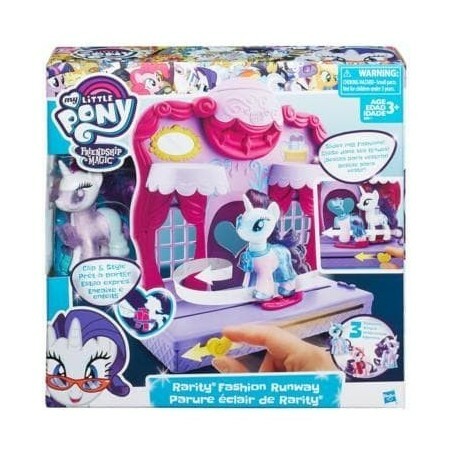 To go with her dress or skirt, the Fluttershy pony figure also has a purse and headband, and a watering can to pretend she is keeping her basket of flowers fresh! When it's time for on-the-go fun, the cottage folds up for carrying and storage! 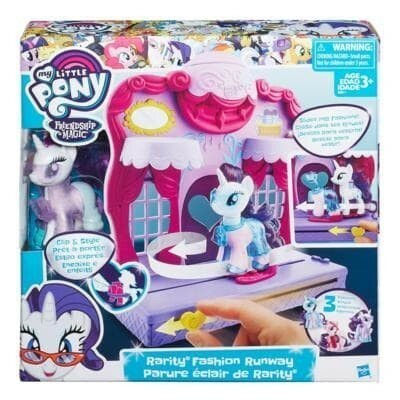 Scan the pony figure’s code to unlock more fun in the My Little Pony Celebration app! 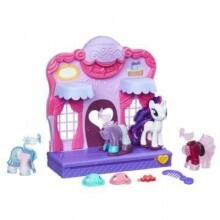 Includes playset, pony figure, pair of earrings, and 6 accessories.